The Face Toner that refreshes all skin types has a formula without alcohol rich in Natural Minerals- the active ingredient is the Salt Water. 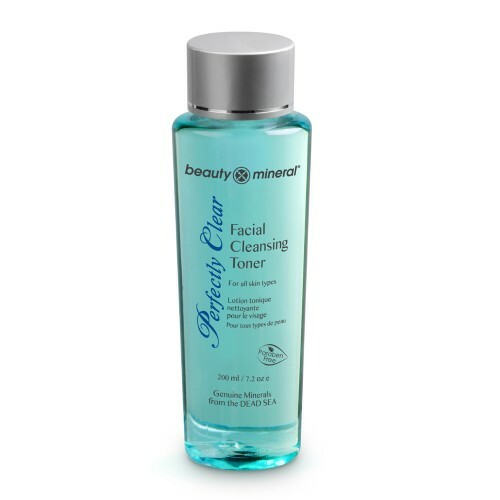 Beauty Mineral Facial Cleansing Toner is rich in natural minerals from the Dead Sea. Contains: Aloe Vera, Glycerine, Chamomile, Vitamin E.Removes the remainder of dirt and the oil excess, stimulates the blood cycle and removes the upper coating of dead cells. 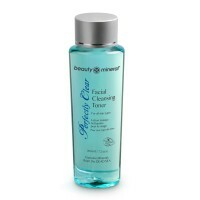 Beauty Mineral Facial Cleansing Toner prepares the skin in a perfect way for the daily treatment routine. Keep the skin natural PH. Suitable for all skin types. Directions: Apply and clean the face and neck with cotton wall avoiding eyes and mouth. 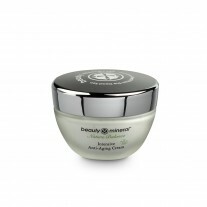 Follow with Beauty Mineral Moisturizing Cream. For daily use.Paraben Free.Mineral Oil Free. 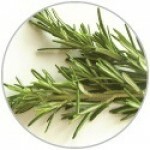 Lavender Oil is often the first essential oil that is used to help recover from burns. Its calming and sedative properties make Lavender Essential Oil a wonderful oil to help relax, fight stress and promote sleep. Lavender may have earned this name because it was frequently used in baths to help purify the body and spirit. 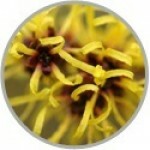 Extract of the Hamamelis plant, has a natural alcohol content of 70% and therefore it acts as a natural skin-freshener. It is an astringent, cooling and antiseptic agent, which strengthens the resistance of small blood vessels under the skin helping the skin appear smoother, firmer, more even and less prone to blemishes. It is useful in preventing excess fatty secretions, such as hardened sebum. ALOE VERA Aloe vera is being used topically to heal wounds and treat various skin conditions such as cuts, burns and eczema. Aloe Vera contains important minerals like Calcium, Chromium, Copper, Iron, Magnesium, Manganese, Potassium, Phosphorous, Sodium, and Zinc. Studies have shown that aloe vera speeds the healing process, particularly in burns, including those from radiation. It is also used by dermatologists to speed healing after facial derma brasion, which helps remove scars from the top most layers of the skin. The other health benefits from the use of aloe vera include helping to soothe skin injuries affected by burning; skin irritations, cuts and insect bites, and its bactericidal properties relieve itching and skin swellings. Aloe Vera possesses incredible moisturizing properties. Studies show that Aloe Vera improves the skin's ability to hydrate itself, aids in the removal of dead skin cells and has an effective penetrating ability that helps transport healthy substances through the skin.